The Cairns emblem tree, the Golden Penda is flowering again around the region. 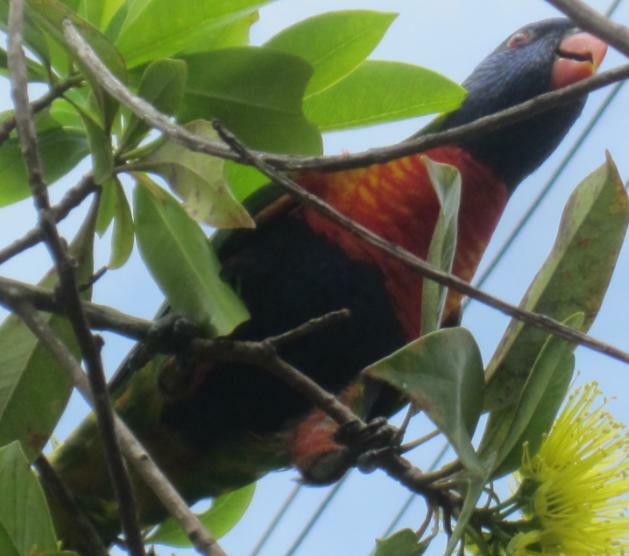 I snapped these few pics this afternoon as some playful Rainbow Lorikeets enjoy the tasty nectar and pollen from the fresh flowers, in the trees around Yorkeys Knob. We get R'bow 'keets here, but the Pendas are nothing compared to 'home' where you are. 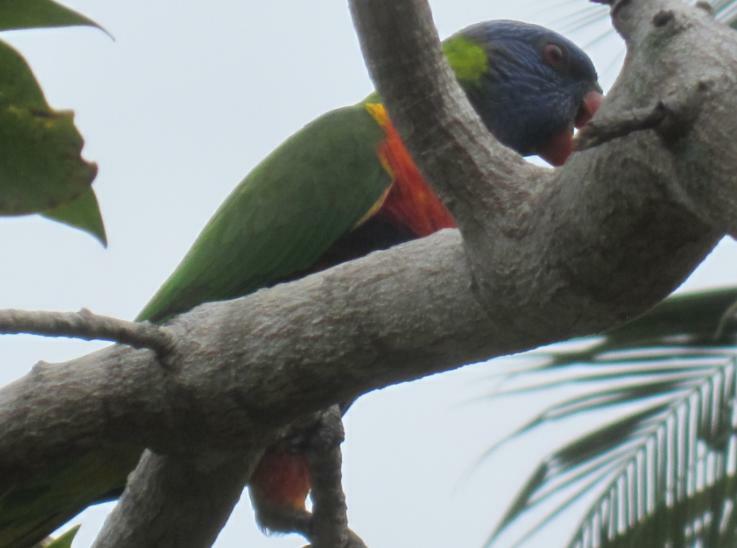 This morning at Yorkeys we noticed the Rainbow Lorikeets were nosier than usual - going crazy in our bottle brushes. I think they were enjoying playing in the wet leaves as much as they liked the nectar in the flowers. There was also a Scaly-breasted Lorikeet thrown in to the mix. 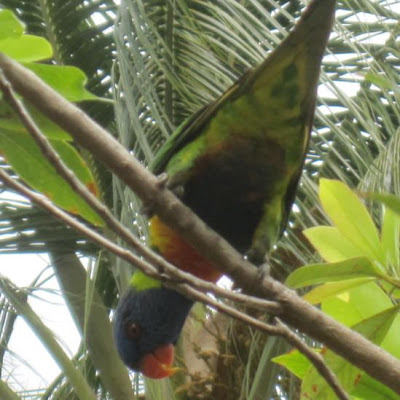 One of the things I like about the Blog is that in the midst of all the sturm and drang, Mike takes time out to smell the roses - well, smell the lorikeet poo, so to speak. The Lorikeets are also very partial to the nectar in the flowers of the Coral Tree. I've got a variegated one, & a month or two ago they were in Nectar Frenzy in the red blooms. 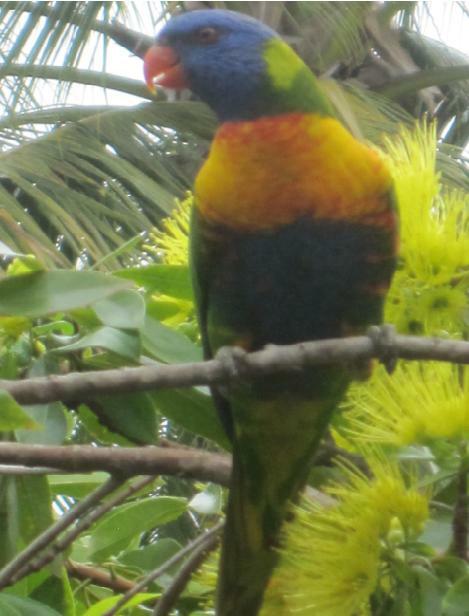 We are still so lucky in Cairns to have such things as an every day happenstance. We need to protect it as much as we can. Now I'm really homesick Mike ! !